You’ve spent time and resources getting your website and event branding just right. Why lose all of that effort when you send a ticket buyer to a third-party site to complete their registration? Maintain control over the entire event experience with Register. For a clear view of your user's journey, you need to understand every stage of the event lifecycle. From discovery to purchase, Localist collects, stores, and displays actionable revenue and attendance data for your team. Event ROI has never been easier to visualize. 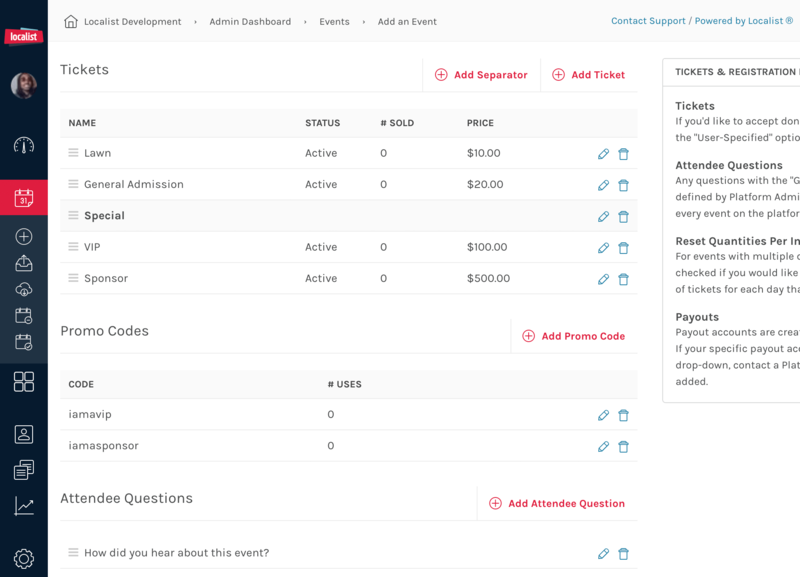 Register ensures the entire event management experience is on the same platform, which means creating an event, marketing it, selling tickets, and collecting revenue is all done in one place. This is simply a better experience for admins and end users alike. Register has tools in place to ensure payouts go to the right accounts on time and fees are always assigned to the appropriate party. No more hunting for event revenue. 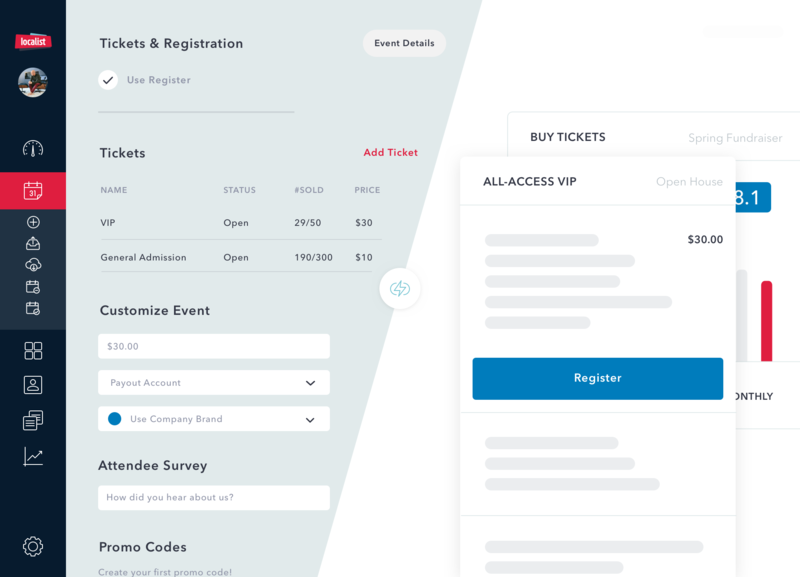 Register comes out of the of the box with paid, free, and donation-based tickets. Couple that with flexible ticket groups and promo codes, Register can handle any event, big or small. Register was built from the ground up with security in mind. Register is PCI-DSS 3.2 Level 1 compliant and utilizes an industry standard payment processing system. Create a fully branded experience for your user.